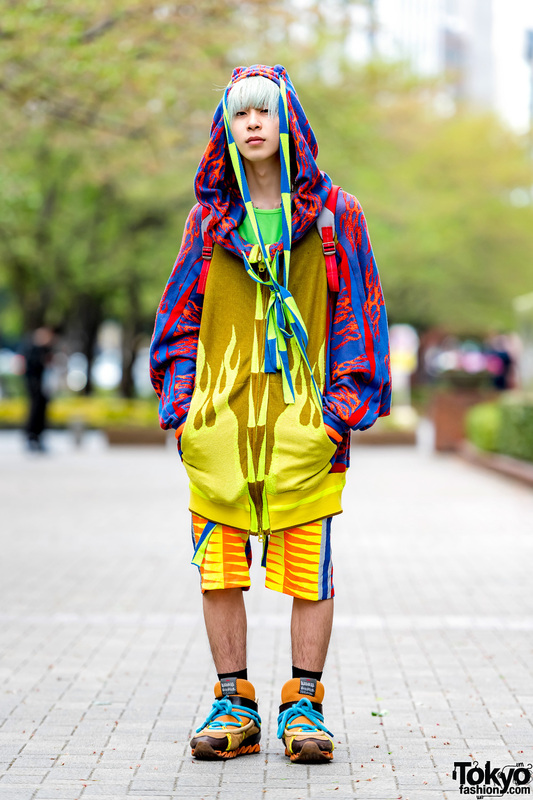 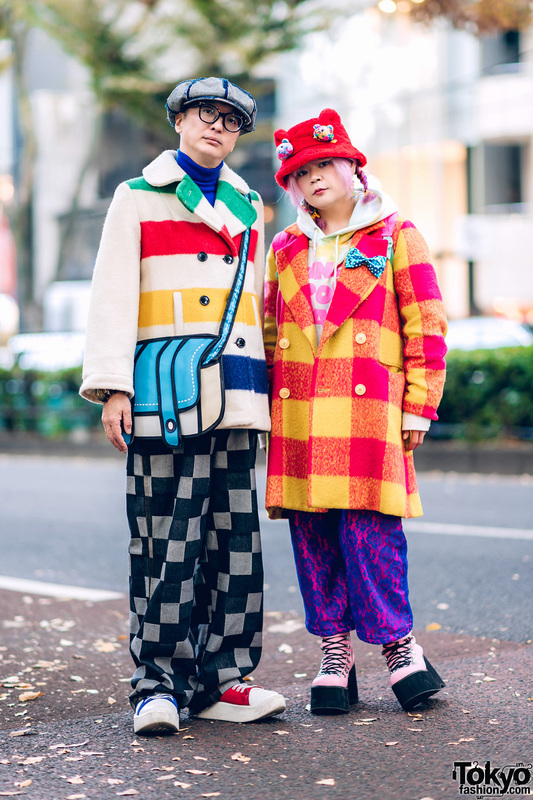 Japanese fashion student in bold hues and mixed prints while on the street near Bunka Fashion College in Tokyo. 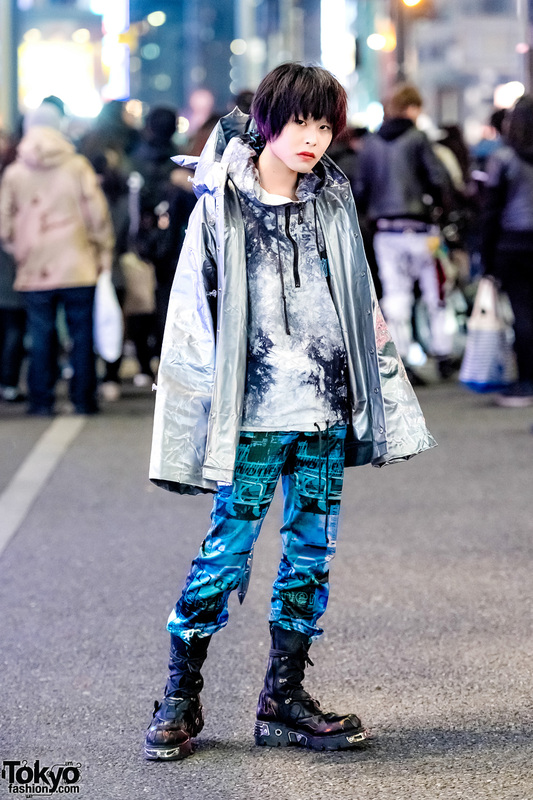 Japanese student showcasing futuristic street fashion in Harajuku. 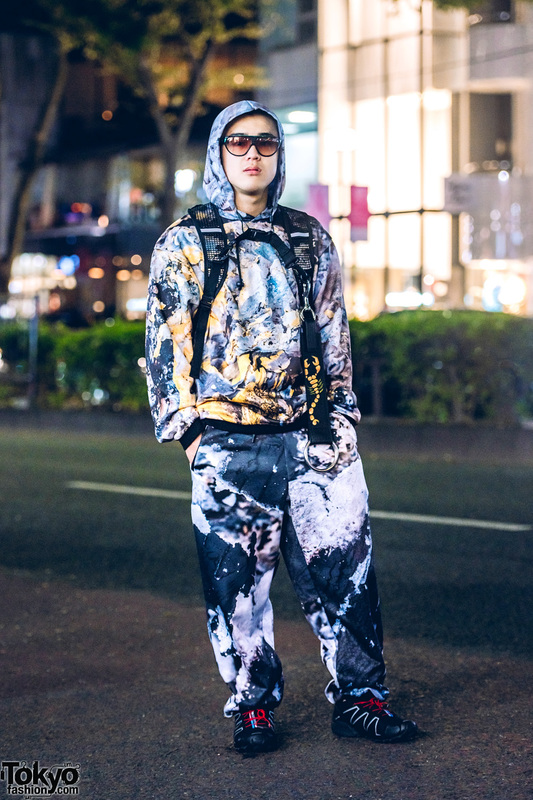 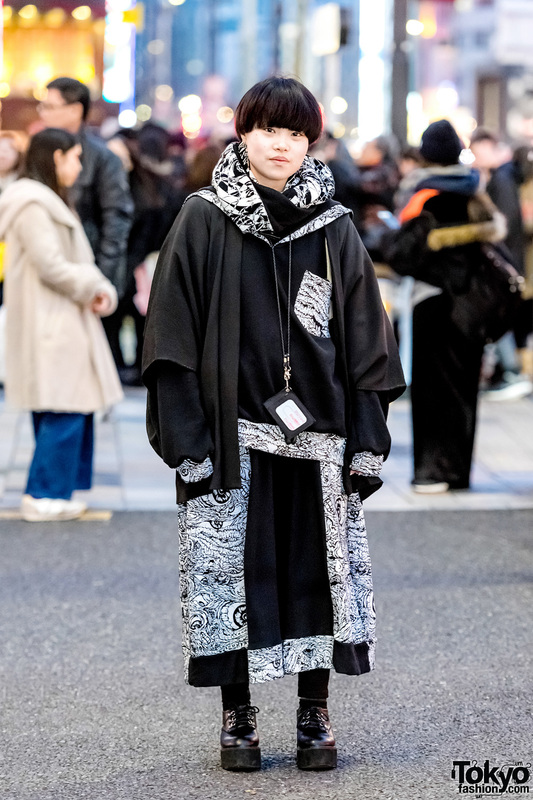 Japanese student showcasing monochromatic street fashion in Harajuku.